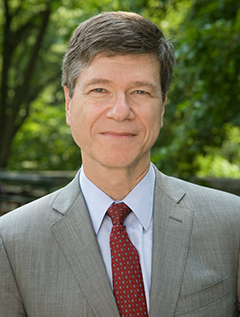 Jeffrey D. Sachs is a world-renowned professor of economics, leader in sustainable development, senior UN advisor, bestselling author, and syndicated columnist whose monthly newspaper columns appear in more than 100 countries. He has twice been named among Time magazine's 100 most influential world leaders. Prior to joining Columbia, Sachs spent over twenty years at Harvard University, most recently as Director of the Center for International Development and the Galen L. Stone Professor of International Trade. A native of Detroit, Michigan, Sachs received his BA, MA, and PhD degrees at Harvard.